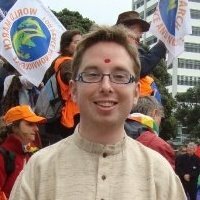 One of the main organizers of the World March in New Zealand, Lachlan Mackay, sent a beautiful testimonial about his participation in the organization of the first World March for Peace and non violence. Greetings from Aotearoa, New Zealand! It would have been great to be with all of you physically for the closing ceremony of the World March for Peace and Nonviolence; however journeys don’t always go to plan so I am sending you a message instead. Be rest assured that I am with you in spirit ! I was honoured and privileged to have had the opportunity to work with a fantastic and inspiring group of people here in New Zealand while we planned and then carried out the launch of the World March three months ago on Gandhiji’s birthday. Ever since the World March left NZ I have kept myself up to date with the progress you have all made and I have kept in regular contact with the international team. The World March exceeded all of my wildest dreams and hopes. I would like to congratulate all of you for what you have done for peace and for the legacy of Mahatma Gandhi and others like him. I have never encountered such an event like this before where it has so deeply affected me in every way possible. I was inspired by the concept, I was inspired by all of you and I will continue to be inspired by the World March for Peace and Nonviolence. Now that we are near the end of the World March and we return to our daily lives, I hope that the legacy of the World March and the legacy of Mahatma Gandhi continues to inspire us for many more years to come and I hope that you all continue to promote a more peaceful world. So thank you again for what you stand for, for what you are doing and most importantly for touching my heart so profoundly. 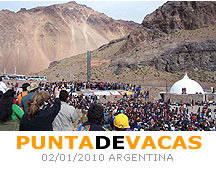 Long live the World March for Peace and Nonviolence!